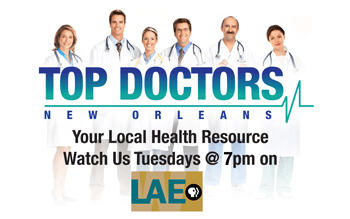 Dale Chihuly’s Rose Crystal Tower, a 22-foot-tall pink crystal tower underwritten by The Helis Foundation, is now on view through Nov. 2020 in front of the New Orleans Botanical Garden at New Orleans City Park. The sculpture was most recently on view in New York City’s Union Square Park. Rose Crystal Tower is composed of Polyvitro (Chihuly’s term for a plastic material with similar visual properties to glass) and steel. Chihuly also used Polyvitro crystals in his landmark exhibition, Chihuly in the Light of Jerusalem 2000. Chihuly, an American artist known for revolutionizing the studio glass movement and elevating perceptions of the glass medium, has enjoyed a career that spans 50 years. He is known for his iconic glass sculptures and ambitious architectural installations in historic cities, museums and gardens around the world. Holiday Cheer: ELF The Musical comes to the Saenger Theatre as part of Broadway in New Orleans. The East Jefferson General Hospital Broadway in New Orleans at the Saenger Theatre, which kicked off in September with Disney’s Aladdin, followed by School of Rock in October and On Your Feet! 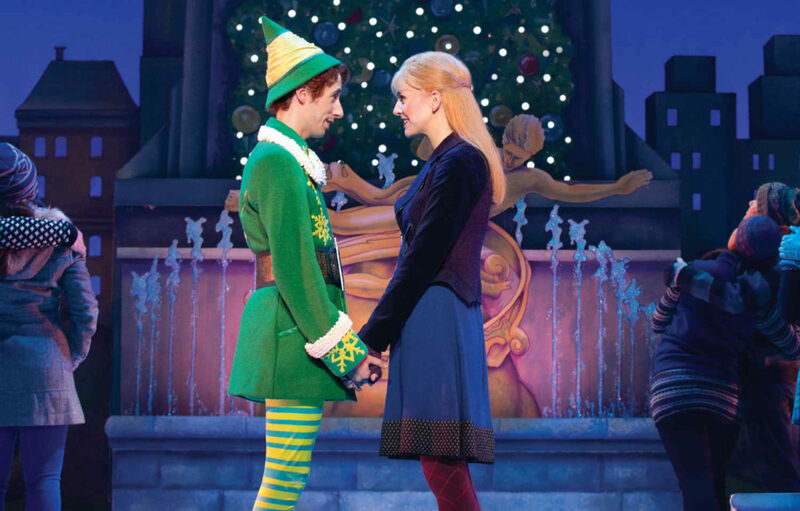 in November, brings Elf The Musical to NOLA Dec.18-23. The musical follows Buddy, a young orphan child who mistakenly crawls into Santa’s bag of gifts and is transported back to the North Pole. Buddy’s enormous size and poor toy-making abilities cause him to face the truth that he is actually human and not an elf. Buddy travels to New York to find his birth father, discover his true identity and help New York remember the true meaning of Christmas. Works in Wood — Mildred Thompson: Against the Grain is now on view at the New Orleans Museum of Art . A new exhibition that kicked off in October at the New Orleans Museum of Art, entitled Mildred Thompson: Against the Grain, shines a spotlight on Thompson’s legacy at NOMA. This exhibition is the first solo museum presentation of Thompson’s experimental wood works in more than 30 years. In addition to a selection of Wood Pictures and related prints from the Mildred Thompson Estate and Galerie Lelong & Co., New York, that reflect Thompson’s deep commitment to the language of abstraction, the exhibition also features three rare early Wood Pictures recently acquired by NOMA for its permanent collection. An accomplished painter, sculptor, writer and musician, Thompson began creating her wood assemblages, which she called Wood Pictures, during a self-imposed exile in Germany in the early 1960s. Her abstract work in wood offered more subtle reflections on history, memory and place. The sculptures combine found wood segments (often sourced in the forests of rural Germany) that are manipulated into sophisticated and expressive compositions with juxtapositions of texture, color and form.